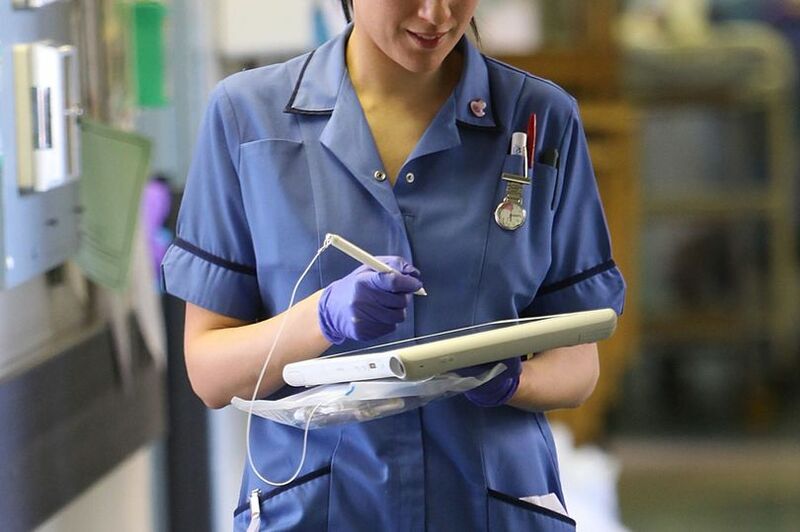 New stats reveal many hospitals do not have enough nurses for their needs [Image: Getty]. The Conservative Party believes qualifications are unnecessary if a person wants to be a nurse. That is the only conclusion to be drawn from new figures that show nurses are being replaced by cheaper, unqualified healthcare assistants. It should come as no surprise to teachers – Tories have been allowing unqualified amateurs to teach our children since 2013. The reason? Because it is cheap. That’s why patients at most of the 50 largest hospital trusts are now less likely to survive and recover from their illnesses; it should be obvious that being treated by unqualified staff will make this more likely. That’s why student nurse bursaries have been axed – to make it harder for people to gain qualifications in nursing. The Tories have been helped by Brexit, which means the NHS won’t benefit from foreign-born nursing staff. And, of course, there’s the fact that Tories like to pay medical professionals starvation wages rather than a sum showing respect for the work they do. Needless to say, the Tories are defending themselves by pointing out that they have announced an extra 10,000 places for nurses, midwives and allied health professionals by 2020. But – as This Writer has already pointed out – who’s going to take up those places when staff are overstressed because they are overworked, and pay is poor? Feel free to point this out to your Tory-voting, NHS-using neighbour. Data shows more than half of the largest hospitals have tried to cope with staffing crisis by bringing more unregistered staff on shift. And the situation is worse at night, when two thirds of hospitals use unregistered support staff. “Nurses have degrees and expert training,” [Janet] Davies [or the Royal College of Nursing] said. Hospitals have been forced to publish their own staffing levels since 2014 in response to the Mid-Staffs hospitals scandal. The union says across the country there are 40,000 nurse vacancies and has warned Brexit will only make matters worse. The RCN says low pay is also to blame following seven years of real-terms wage cuts handed out by the Tory Government. The Government’s decision to axe bursaries for student nurses has also been blamed as a factor in the recruitment crisis. But a Department of Health spokesman insisted that overall the number of nurses is up since 2010, and that it plans to recruit thousands more in the coming years. “Just this month we announced an extra 10,000 places for nurses, midwives and allied health professionals by 2020,” the spokesman said. Tories wouldn’t have unqualified people teaching or nursing them, but for the rest of us anything is good enough as long as they don’t have to contribute towards it. all we have to do is look at the health care professionals employed to do wca assessments, very few of them reports are accurate,take into account medical information and are often wrong, what if that gravy train ended and they had to do a proper job,back into the nhs,would you trust them,people that are conditioned to you being able to make a cup of coffee, read a book,walk a small distance, use a telephone or computer, therefore your okay,this is tory fantasy world,do all the above and nothing is wrong,50% brain damage, no legs, long term conditions(degenerative) all of these can be cured by wca nurses,if this is a tory outlook and they have suddenly realised there short in the nhs,that because they wasted millions sending them doing wca assessments that have cost the nhs money when people are re-admitted due to tory ignorance in there policies,Make them all at all political levels accountable by law for there actions and include justified expenditure in that as well. Got it in one Mike. Spot on. 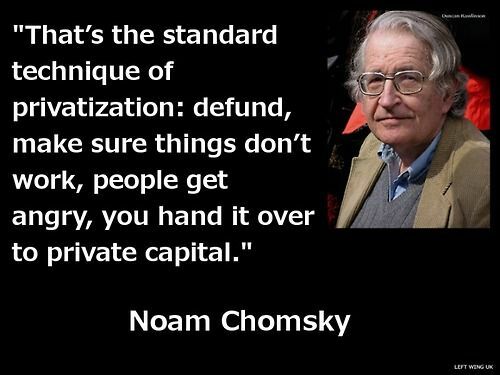 This seems to be the same strategy being used in the teaching profession just to make things cheaper and then easier to privatise. … as mentioned in the article. I’m glad you agree. That’s a heap of rubbish. In the past here were 2 types of nurse. SEN and SRN. They both had their roles and it worked. Now it seems every nurse has to have a degree. Totally wasted on some who have no empathy at all with their patients. Why does that make anything written here rubbish? You actually have nurses with degrees who spend most of their time writing up notes and keeping their hands clean and auxs who actually do get their hands dirty and from my long experience have far more empathy with the patients than their degree nurse colleagues. It was a very bad day when they scrapped the bursary and like you say the whole thing is a crafty covert plan to destroy and bring in privatisation asap. Hunt needs his golden privey so that when he entertains his privatisation buddies prior to their takeover they need somewhere impressive for them to dump rather than keep dumping on us. The reason there is a shortage of nurses is the the nurses allowed themselves to be pushed into university education, which drastically cut the amount applying and being employed to train, and now it has been made even more expensive. Unfortunately nursing shot themselves in the foot when they allowed a professional body to be created which has an executive of 11 government appointed members, non nurses, and only 10 nurse elected members. Until the NMC is abolished and a proper professional body put in place we will continue to see nursing diminish. BTW the mid staffs scandal is the mass medias dreadful biased reporting which lead people to believe it was a slaughterhouse, 50,000 people marched to support it, pretty mush the entire Towns population.